The policy statements below outline the HSVMA’s detailed philosophy and rationale for our rules of engagement on the following animal welfare issues. HSVMA strongly and unequivocally opposes confining egg-laying hens to battery cages, a housing system which denies the birds an adequate amount of space and prevents them from carrying out fundamental natural behaviors. HSVMA affirms the humane duty to provide chickens with the freedom to stretch and flap their wings, stand erect, nest, scratch the ground, preen, perch, and dust-bathe. At present, all of these behaviors are effectively denied to the vast majority of the approximately 270 million egg-laying hens in the United States, who are allotted only 67 square inches (432.3 cm2) or less per bird. Battery cage conditions result in psychological distress, stereotypic behaviors, and continual severe boredom for the birds. In addition, confinement to battery cages causes painful medical conditions including fatty liver hemorrhagic syndrome, foot disorders, and severe disuse osteoporosis, which contributes to a bone fracture rate of 25-30 percent in egg-laying hens during shackling prior to slaughter. HSVMA recognizes that problems can occur in virtually any type of hen housing system, as proper management practices are necessary for maintaining animal welfare standards. However, confinement to battery cages unavoidably and unacceptably infringes on the welfare of egg-laying hens in a way that cannot be corrected merely by changing management practices. Given the severity and magnitude of animal welfare infringements caused by battery cages, the HSVMA unreservedly supports eliminating this form of confinement. To meet humane standards, any alternative hen housing system must ensure the above minimal behavioral freedoms. HSVMA advocates that the veterinary profession should take a proactive role to improve the welfare of brachycephalic dogs. Brachycephalic obstructive airway syndrome (BOAS) is a consequence of selective inbreeding favoring shortened noses and skulls, which results in dyspnea, stertor, stridor, exercise and heat intolerance, and increased anesthetic risk. Breeds most affected by BOAS are Pugs, Boston Terriers and French Bulldogs. It is common for many brachycephalic dogs to require soft tissue surgery of their airways in order to breathe without difficulty, and C-sections to give birth. Dogs with the most severe forms of brachycephaly have significantly shorter lifespans compared to those of other breeds, and death in brachycephalic dogs is significantly more likely to be related to upper respiratory airway disease. Working to counter the dramatic increase in demand for brachycephalic breeds. For example, the profession can educate major retailers and organizations that use brachycephalic breeds in their advertising about the health problems endemic in these breeds and encourage them to feature healthier breeds or mixed breed dogs instead. For more information, please see the HSVMA Fact Sheet and additional resources on this issue here. HSVMA opposes surgical procedures performed on a companion animal solely for the cosmetic preference or convenience of the caregiver. Examples of such procedures include ear cropping and tail docking in dogs; devocalization of dogs and cats; and declawing or tendonectomy of cats. Exceptions to this position would be the rare instances in which such surgeries are performed for therapeutic purposes. HSVMA urges canine breed clubs to eliminate ear cropping and tail docking from dog breed standards. Approximately 270 million male chicks are killed annually via maceration in high-speed grinders, suffocation with carbon dioxide, and other inhumane methods, as they would not be sufficiently profitable for egg or meat-production. Debeaking, or partial beak amputation, is commonly used to decrease the feather-pecking and cannibalism that result from over-crowding and intensive confinement. This painful procedure impedes the normal function of the beak in feeling, picking up, and manipulating objects and often causes chronic neuroma-associated pain. Selecting hens for production of large sizes and quantities of eggs increases hens’ risk of painful cloacal prolapse, salpingitis, oviduct tumors, and osteoporosis. In order to boost egg production, most hens are subjected to “forced molting,” which involves causing drastic weight loss and depriving hens of light. Each year, producers also partially or completely starve tens of millions of hens for up to 14 days with variable periods of water deprivation. Hens endure a lifetime of extreme confinement and poor welfare in battery cages. Capturing and transporting hens leads to severe suffering via broken bones, dislocated joints, exposure to extreme temperatures, over-crowding, and food and water deprivation. HSVMA affirms the humane duty to ensure the physical and psychological welfare of egg-laying hens. In addition to minimizing pain and distress and abolishing the above practices, producers should provide hens with opportunities for species-typical social behavior, mental stimulation, and access to the outdoors. Minnesota Hen Slaughter Exposé: Birds Abused, Scalded Alive Daily; Investigation Is First in Nation of “Spent” Egg-Laying Hen Slaughter Plant. The Humane Society of the United States. http://www.humanesociety.org/news/press_releases/2015/01/minnesota-hen-investigation010514.html. Accessed June 8, 2015. The HSVMA recognizes the unfortunate necessity for euthanasia of animals in shelters under certain circumstances. When euthanasia is performed, the HSVMA believes only trained and certified personnel should perform it and in the most humane manner possible. The injection of sodium pentobarbital (or equivalent FDA-approved euthanasia drug) is the only acceptable method of euthanasia for animals in shelters, as it is safer for shelter personnel, induces rapid unconsciousness and death, while causing the least amount of stress to the animal. The preferred routes of administration are intravenous or intraperitoneal. Intracardiac injections should only be performed on anesthetized or unconscious animals. It is imperative that drugs that produce at least a light plane of sedation or anesthesia be used prior to the euthanasia of dangerous, fractious, or otherwise difficult to handle animals to minimize their stress and fear and ensure safety of shelter personnel. In addition, euthanasia should not be performed in the presence of live animals, and it is essential that proper steps be taken by trained personnel to verify death has occurred. Humane euthanasia should provide the animal with a rapid death free of pain, fear, stress, or apprehension while protecting the safety of shelter personnel. Euthanasia by injection, performed by skilled and compassionate personnel, is the only method that consistently meets these criteria for euthanasia of animals in the shelter setting. American Association of Zoo Veterinarians. Guidelines for the Euthanasia of Non-Domestic Animals (2006). Ed. Baer, CK. AAZV:Lawrence. HSVMA supports humane, non-lethal solutions to address concerns associated with free-roaming, abandoned and feral cats. These concerns include the number of cats, their quality of life and their potential negative impact on wildlife, the environment, and public health. HSVMA advocates community-based Trap-Neuter-Return programs with ongoing responsible management as the most viable, long-term approach available at this time to reduce feral cat populations. The location of feral cat colonies is an extremely important issue and reinforces the need for a community-based approach to ensure that colonies are managed so that impacts on wildlife are minimized. HSVMA advocates indoor-only environments for companion cats and sterilization of all cats to help address the root cause of the feral cat overpopulation problem. HSVMA opposes the practice of confining gestating sows in individual crates only slightly larger than the animals themselves, commonly known as gestation crates. These crates curtail their movement so severely that the pregnant sows are unable to even turn around, which prevents the expression of normal patterns of behavior, and the lack of bedding exacerbates their extreme discomfort. Furthermore, an extensive body of scientific evidence confirms that gestation crates result in poor porcine health and welfare. Housing intelligent, sentient beings for months at a time in this manner is inhumane and constitutes cruelty. As an alternative, HSVMA promotes well-managed group housing systems for gestating sows, in which sows are grouped based on size and temperament. For more detailed information on gestation crates, refer to the HSVMA Veterinary Report on Gestation Crates . HSVMA is opposed to the commercial slaughter of horses and other equids. Each year, tens of thousands of American horses including riding horses, children’s ponies, carriage horses, and race horses, among others, are inhumanely transported to be slaughtered for overseas consumption. The majority are young, healthy animals who could have gone on to lead productive lives. Horse slaughter is not humane euthanasia. Horses are generally transported long distances in crowded trailers, traveling for many hours or even days on end without rest, food or water. They often arrive exhausted, dehydrated, severely injured or even dead – the result of fights or falls sustained during their journey. They panic in the kill box, making them difficult to stun accurately – and are sometimes conscious while they are suspended by a back leg, bled out, and dismembered. HSVMA promotes a commitment to lifetime care and responsible breeding practices as an essential principle of equine stewardship. In the unfortunate cases in which people are unable to continue to care for their horse, HSVMA promotes humane options including careful re-homing, relinquishment to a sanctuary or rescue facility or, when necessary, humane euthanasia by a trained professional. Puppy mill dogs are generally treated as factory-farmed livestock by kennel operators striving to maximize profits at the expense of the health and welfare of their dogs. In these operations, the dogs are confined to small cages, endure continuous breeding, receive minimal to no veterinary care, endure poor husbandry and are deprived of human companionship, exercise and socialization. Careless breeding practices at puppy mills contribute to inherited conditions that negatively impact the health of the puppies and ultimately generations of purebred dogs. Furthermore, overbreeding contributes to the nationwide pet overpopulation problem and to the euthanasia of more than a million perfectly healthy, but unwanted, dogs each year. For more detailed information on puppy mills, refer to the HSVMA Veterinary Report on Puppy Mills . The HSVMA supports federal legislation that would phase out the routine non-therapeutic use of antibiotics in farm animals. Antibiotic overuse is a common practice in animal agriculture, with the drugs routinely added to animal feed for growth promotion and to compensate for crowded, stressful and unsanitary conditions on industrial farms. Antibiotics are readily available over the counter for farm use and often there is no veterinary prescription or oversight of their application. Profligate use of these drugs threatens to ruin the effectiveness of antibiotics for treating sick animals and people and the increase in antibiotic-resistant bacteria is a looming health challenge. We join with the American Medical Association, the American Public Health Association and more than 150 other human health organizations in supporting efforts to restrict such non-judicious uses of antibiotics in order to protect animal and human health. The HSVMA advocates that dog and cat breeders develop and adhere to strict ethical and humane practices in conducting their business. Breeding animals for exaggerated physical characteristics, particularly when it compromises overall health, is irresponsible. Breeders should place the long-term health and welfare of their breeding animals and offspring above their efforts to win shows and garner fees. The HSVMA urges the American Kennel Club (AKC) and other breed clubs to modify their standards to include equal or greater emphasis on breed health, welfare and temperament than on purely physical breed attributes. Competitive showing has spawned breeding practices based on the concept that successful dogs and cats must closely conform to established ‘breed standards’ by possessing specific, frequently arbitrary, physical attributes, often at the expense of their health, welfare or temperament. This has compromised the quality of life of many purebred animals because purposely-bred exaggerated phenotypic features predispose them to certain medical conditions, interfere with normal behaviors, and, in many cases, diminishes the quality and/or duration of their lives. Combined with an emphasis on pedigree that often engenders deliberate inbreeding of closely-related animals, these practices have decreased genetic diversity within breeds and have amplified the inevitable unintended negative consequences of artificial genetic manipulation—such as the incidence of heritable and congenital disorders—in purebred dogs and cats. Commercial and hobby breeding have an immense impact on the very serious problem of pet overpopulation. Millions of dogs and cats are killed each year in U.S. shelters because there are simply too many animals for the number of homes available, and approximately 25-30% of these animals are purebreds. HSVMA encourages breeders to be a part of the solution of companion animal overpopulation by conscientiously limiting the numbers of litters they produce. HSVMA supports and promotes adoption of hybrid (i.e. mixed-breed) dogs and cats and, in cases where particular breed characteristics are preferred, adoption of purebreds from shelters and breed rescue organizations. The Humane Society Veterinary Medical Association supports elective surgical sterilization—spaying (females) and neutering (males)—of dogs and cats. It remains the most reliable and effective means of preventing the unwanted reproduction of dogs and cats, decreasing the pet overpopulation problem, and reducing animal shelter euthanasia rates. Equally as important are the individual health benefits of sterilization, including reduced risk of mammary neoplasia, benign prostatic hypertrophy, and prostatitis, as well as prevention of pyometra and testicular cancer, and behavioral benefits, like decreasing objectionable behaviors such as urine marking, fighting, and roaming. The HSVMA encourages the sterilization of kittens and puppies prior to puberty, even as young as six to eight weeks of age, as long as weight and health requirements are met. In addition, the HSVMA recommends the spay or neuter surgery be done prior to adoption. Consideration must be given to circumstances that would create a need for an exception on an individual basis. The HSVMA supports elective surgical sterilization as an overall health and behavioral benefit for most individual animals and for the companion animal population. There is an extensive body of scientific evidence identifying the benefits of surgical sterilization, including early-age sterilization. HSVMA supports voluntary efforts, policy reforms and legislation that reduce the use of lead-based ammunition and fishing tackle. Eliminating these sources of lead is necessary to safeguard animal, human and environmental health. Scientific evidence overwhelmingly confirms the toxic effects of lead on avian and other wildlife species. The veterinary community has seen the serious effects of lead firsthand, while diagnosing and treating animals suffering from lead poisoning. HSVMA recognizes this issue is independent of other controversies related to the practices of hunting and fishing. Non-toxic alternatives to lead ammunition and fishing tackle are readily available, perform equally or better than lead counterparts, and the cost of non-lead alternatives are becoming comparable to that of lead products. HSVMA supports official recognition of this issue as a significant One Health challenge, since lead is toxic to vertebrate physiological systems, and is recognized as a probable human carcinogen by the Centers for Disease Control and Prevention (CDC). While eliminating lead in ammunition and tackle will not prevent all potential lead exposures, HSVMA maintains that since lead is a potent toxin that bioaccumulates, every reasonable step should be taken to reduce the lead exposures of both people and animals. 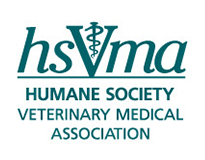 The Humane Society Veterinary Medical Association urges all veterinarians to report suspected cases of animal cruelty, whether it be in the form of passive neglect or active, malicious abuse, to the proper officials charged with investigating and prosecuting such incidents. Due to our position and training, veterinarians are likely to encounter such situations professionally and may also be sought as experts by law officials seeking to identify whether a crime has been committed. Our medical training confers on us the knowledge and authority to identify maltreatment and suffering in animals, whether owned or stray, companion or agricultural, domestic or wild, and to make such suffering intelligible in a court of law if requested. Thus, it is incumbent upon us to familiarize ourselves with our state’s anti-cruelty laws, to report such abuse and/or neglect to the proper authorities. If asked by law officers to serve as an expert witness, it is hoped that the veterinarian will assist to the best of his/her abilities. The veterinarian should use his/her judgment to determine whether the situation is sufficiently grave to warrant the calling of law enforcement officers to investigate and charge the owner with a crime, or whether the animal’s mistreatment is minor enough to permit instructing the owner as to proper care, requesting the owner to correct a list of deficiencies within a given time frame. Failure to do so might then warrant reporting this neglect (abuse) to the authorities. In addition, veterinarians should promote the passage of laws in each state that mandate the reporting of animal cruelty by veterinarians when observed or suspected, while also promoting legislation that protects veterinarians from civil, criminal, or professional liability when making such a claim in good faith. If a particular state lacks adequate animal protection laws, then it is hoped that our profession would be a significant voice to assist in the drafting of effective anti-cruelty legislation or to amend existing deficient laws. Since the connection between a criminal’s initial animal cruelty and his/her future violence directed against humans is now well established, veterinarians have the opportunity to make their communities safer by assisting law enforcement officials in the reporting and prosecution of animal cases, thereby identifying possible future perpetrators of violent crimes. As a corollary to this, it is also critically important for the veterinarian to participate in “cross reporting”, i.e. to report obvious human abuse and neglect to the proper authorities when seen or suspected in the investigation of an animal cruelty case. The HSVMA hopes to see more education available, both in formal veterinary school curricula and in continuing education, for our colleagues in the field of recognizing, documenting, and reporting animal cruelty.